Get fathers hearts' warmed and touched with these felt Heart plushies made just for them by their kids! 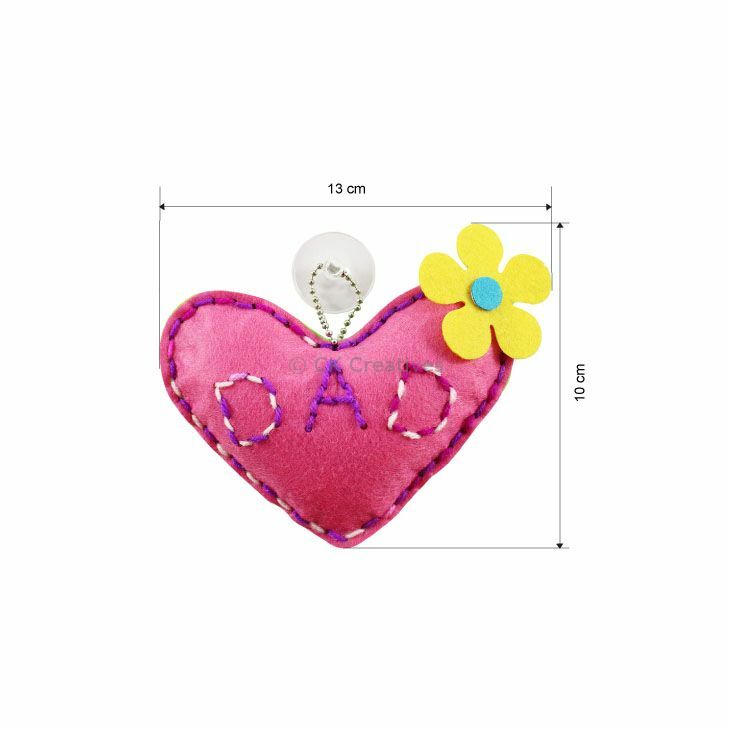 The word "DAD" is boldly displayed accompanied by a cute felt flower. 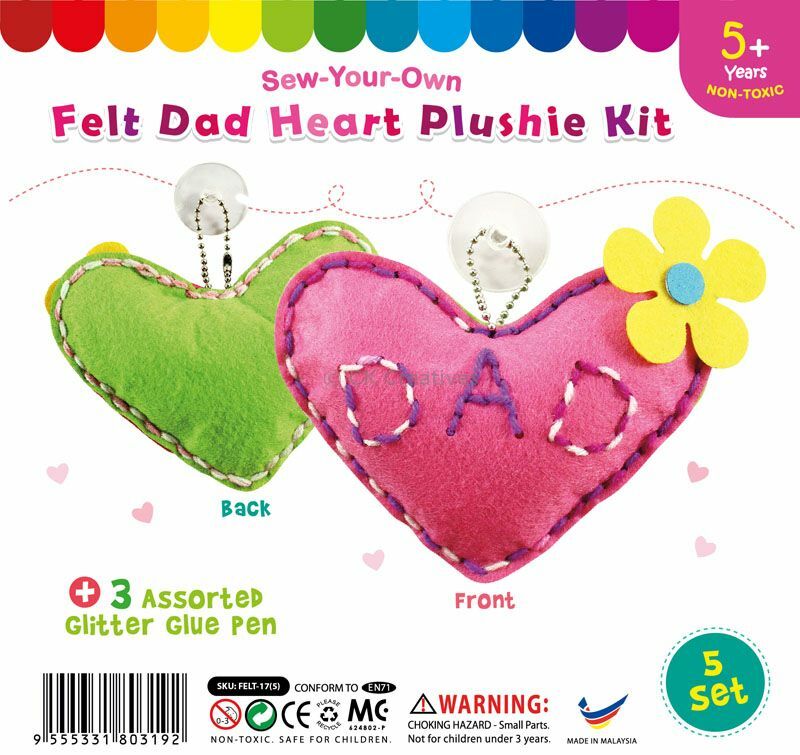 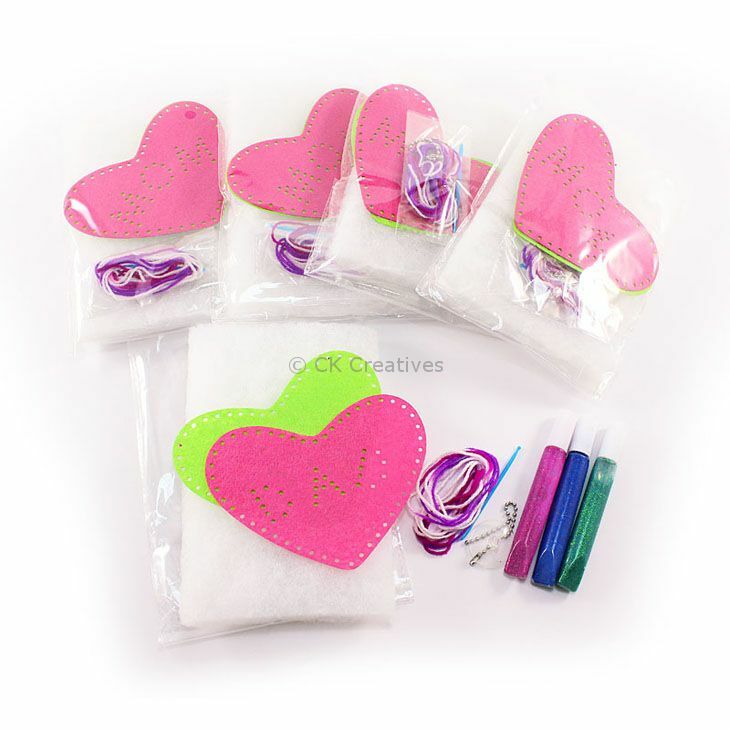 It is soft to the touch and you may decorate it with the colourful glitter glue pens!